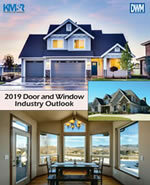 Manufacturers in the residential fenestration market are facing many of the same challenges of late, according to some of the latest financial releases from industry companies. The most common factor mentioned across virtually all of the reports was an increase in material costs. PGT Innovations CEO Jeff Jackson also said his company saw “a return to an inflationary environment in which we experienced margin pressures from rising cost of aluminum, glass, fuel and wages.” He added that PGT offset those pressures with price increases that were announced during the year. During JELD-WEN’s fourth quarter results presentation, recently departed-CEO Mark Beck highlighted higher freight rates, labor inefficiencies (more in that in a moment), and “accelerating inflationary pressures from our supplier base” as key operational headwinds that impacted margins in North America in the fourth quarter. Masonite was another industry company that cited the same challenges in the fourth quarter, including materials inflation and operational inefficiencies related to productivity. Multiple companies also pointed to inefficiencies in labor and productivity, and they are putting efforts in motion to neutralize these. Masonite noted that it is working to improve plant labor productivity in 2018, as it has reduced its headcount by 7 percent, optimized shift schedules, and is making plant layout changes and equipment investments to improve throughput. PGTI said it is already feeling the positive impacts of operational improvements it make last year, which were reflected in its most recent financial results when comparing to previous quarters. Despite the hurdles documented above, most companies reported positive sales figures in the last quarter and are optimistic looking forward. 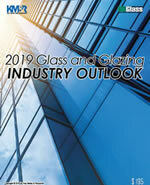 It will be interesting to see how these fenestration companies fare in the subsequent quarter in regard to these challenges. We’ll revisit this in the middle part of 2018. Some direct quotes of CEOs are courtesy of SeekingAlpha.com and are linked accordingly.